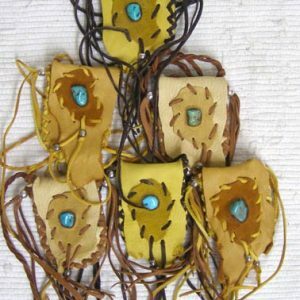 This is a simple medicine bag made from genuine, supple buckskin leather measuring 2.75 x 4 inches with a 24 inch strap. 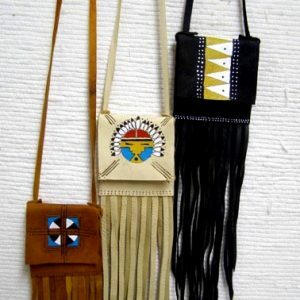 it sports fringe along the bottom of the bag & it is a traditional pull closure. 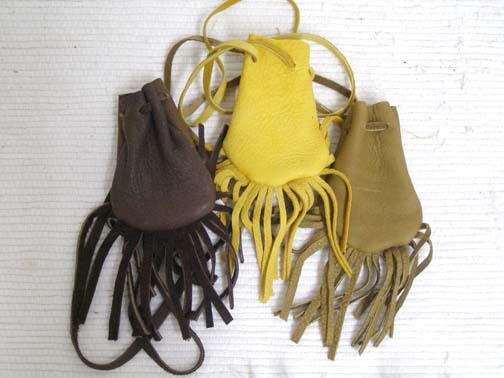 This bag is shown in gold, medium & dark brown. Â Colors will vary. 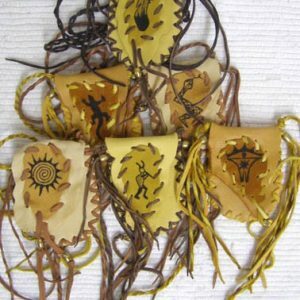 These bags are made by the people of the Navajo nation. A Ceritificate of Authenticity is inclued with this item. 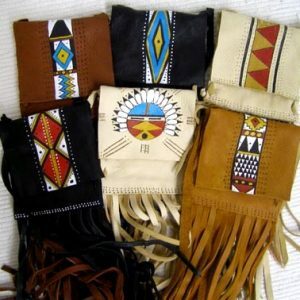 CHEROKEE MADE MEDICINE BAG -MED.